In the summer of 2018, four youth at the Crissy Field Center grabbed the opportunity to create media and took a deep dive into the elements of image capture. Working with me, we engaged in daily discussions and practice around photography. Youth at Crissy Field Center are exposed to many opportunities. Through access to national parks and relationships with park partners and educators, young people explore their interests deeply and with intention. Their collection of work is evidence of sustained effort and dedication to the craft. Over the jam-packed nine weeks of summer, each young person experienced Crissy Field Center programming through their individual lens, their insider status allowing them to float between their peers as both active participant and fly-on-the-wall documentarian. Their camaraderie let them capture intimate moments like getting unstuck from waist-high mud in Point Reyes National Seashore, trembling as they traversed a thin wire 50 feet in the air at the Fort Miley ropes course, or laughing and telling stories together before dinner at the Whiskeytown campout. Abraham hails from the Excelsior District and attends Leadership High School. Before the summer of 2018 most of his photography was through his mobile device. With access to better equipment, Abraham focused his summer on fast-shutter photography. Motivated by skateboarding magazines, he was inspired to capture the movement and grandeur that comes during a session of riding and performing skate tricks while hanging out with friends. Abraham’s “Heart of the Fire” series is a showcase of youth experience and an exercise in framing and timing. Jasmin is a Leadership High School student who traveled every day from the Excelsior district to the Crissy Field Center for the Urban Trailblazers (UTB) summer program. A UTB youth leader, Jasmin is also a member of the Inspiring Young Emerging Leaders Program and no stranger to sharing her voice. Versatile and enthusiastic, photography gives Jasmin a platform to let her creativity shine. A willingness to learn allowed her to explore the many settings of digital cameras and high-contrast photography. Always surrounded by a group of kids, her high energy created connections with youth. While leading groups and making friends, Jasmin was on the lookout for opportunities to capture youth surrounded by nature, a stark difference to the concrete gray world they’re accustomed to. Now in his second year as a UTB summer participant, Daniil traveled to the Center daily from the Richmond District. Daniil focused his summer capturing and editing video footage on top of regular responsibilities as a UTB participant. Creating videos is a joy for him because of the practice and skill improvement. Further down the road he sees these skills becoming useful in his educational endeavors. Daniil is considering a career in media creation and hopes to work as a producer. He’s already made over 10 videos which highlight his personal life about the fun and interesting places he’s visited. Having friends and family spread out across the United States and Europe is hard, but when they can’t be together, his video updates bring them a little bit closer. 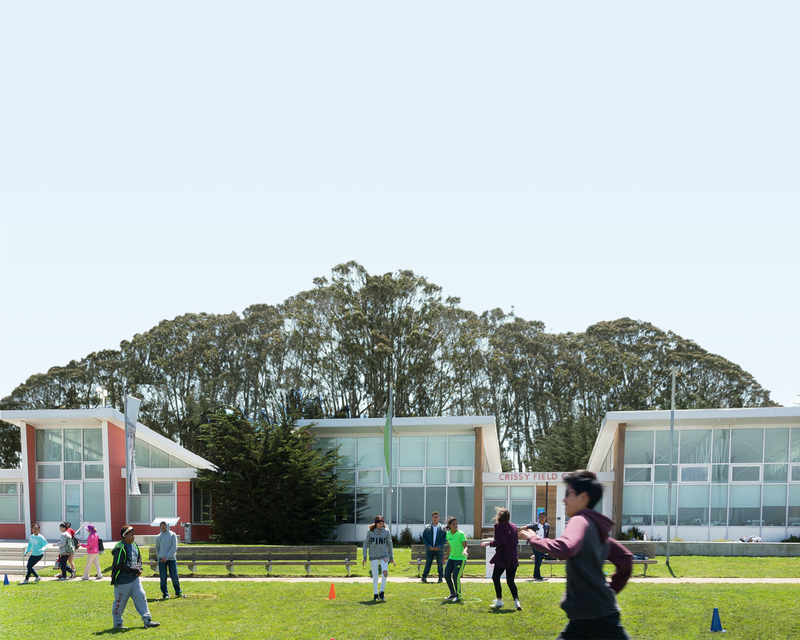 Educators at the Crissy Field Center strive to create opportunities for youth who traditionally have experienced barriers to national parks. In a more media-heavy world, empowering young people with tools and knowledge can have lifelong effects. Photography is a door that opened, but youth stepped through to see the view from the other side.